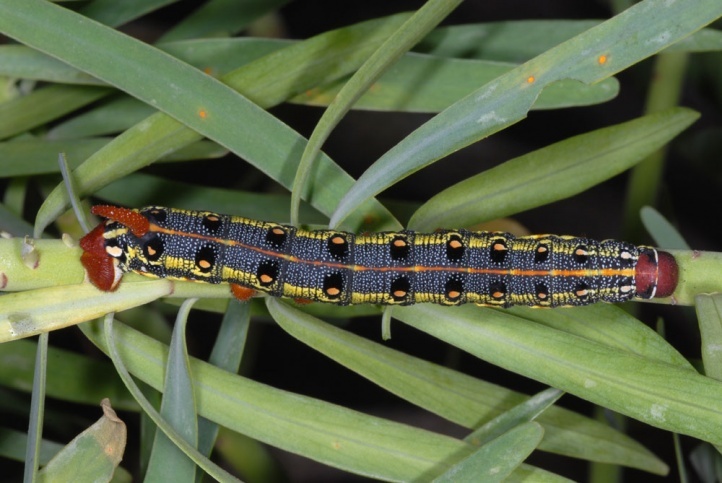 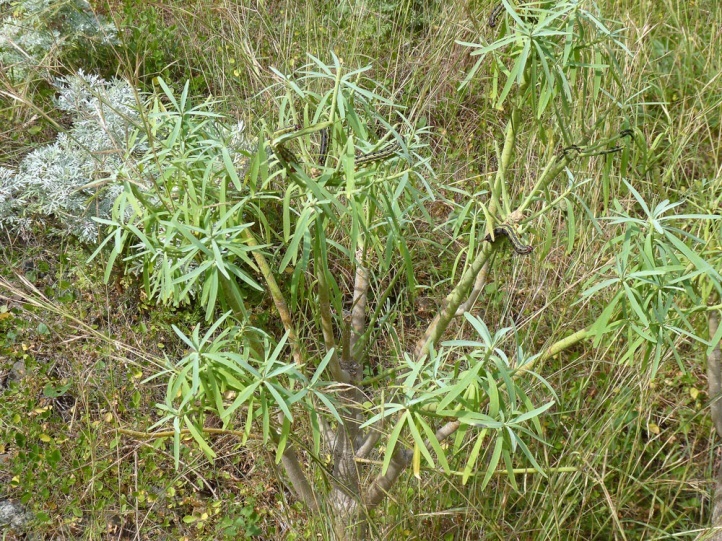 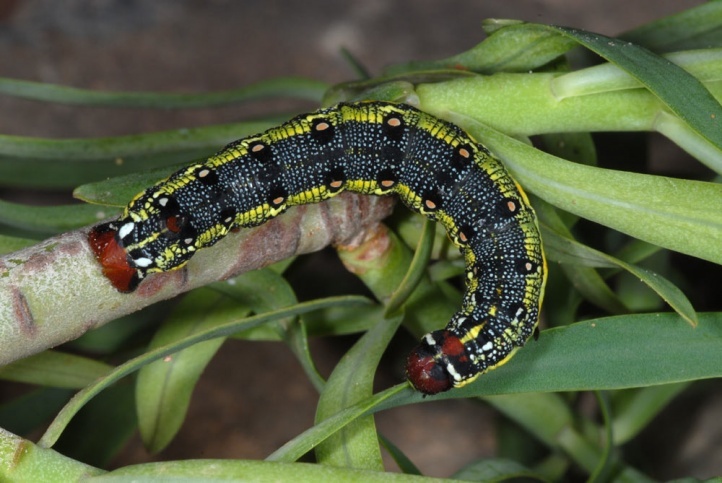 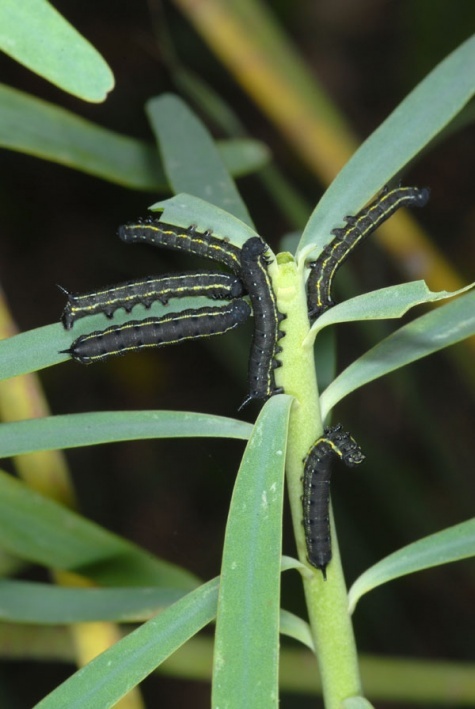 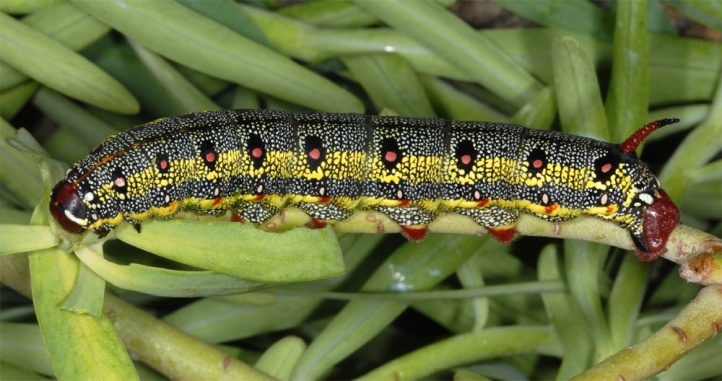 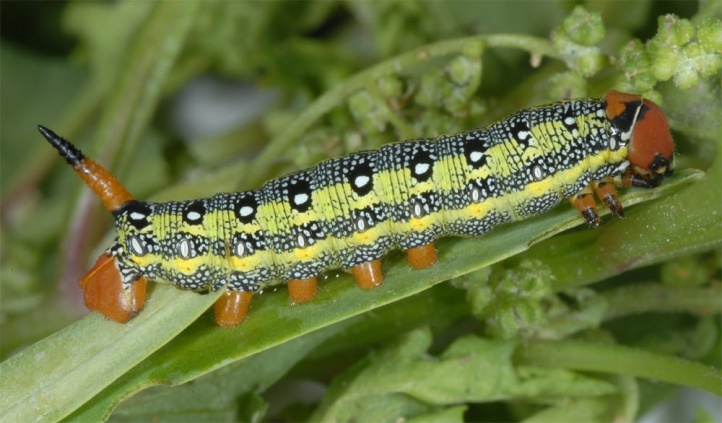 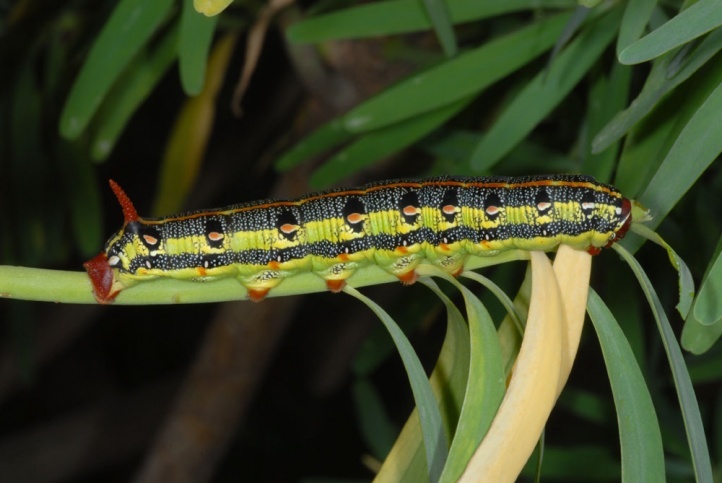 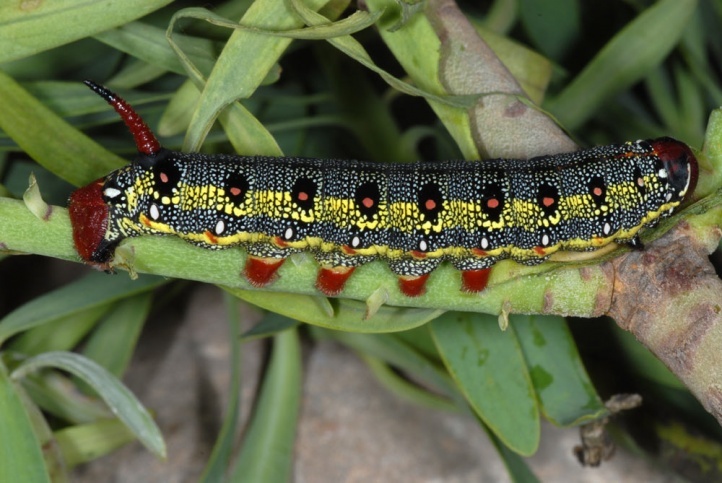 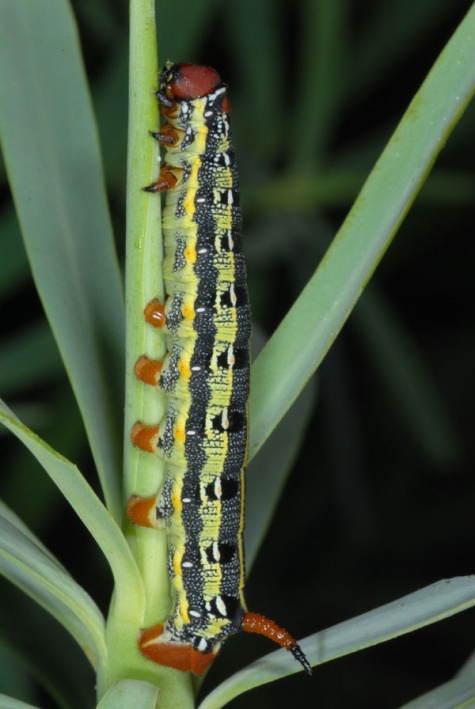 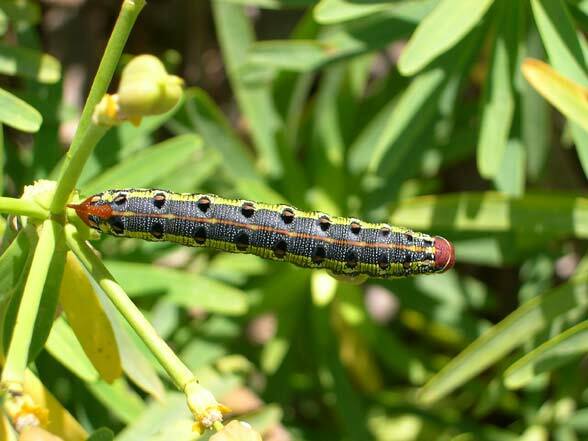 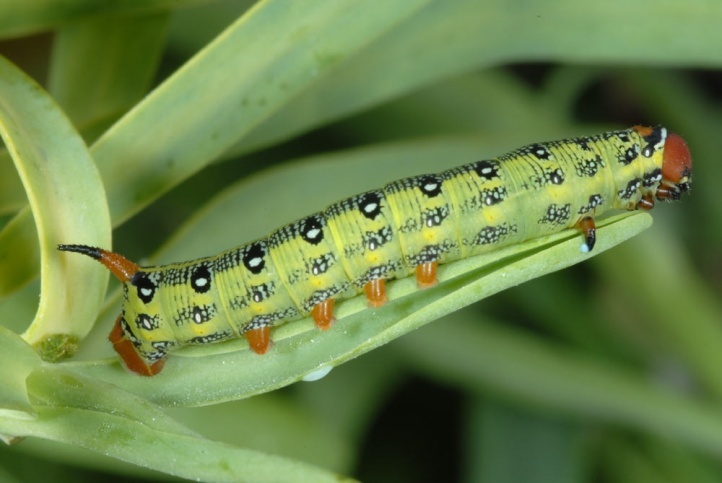 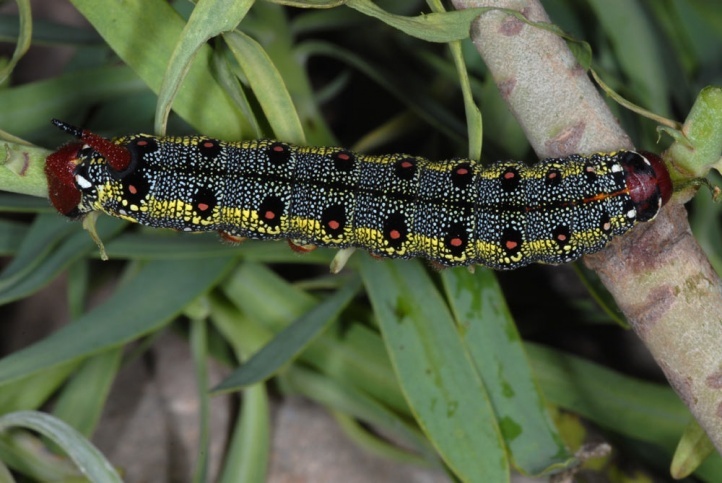 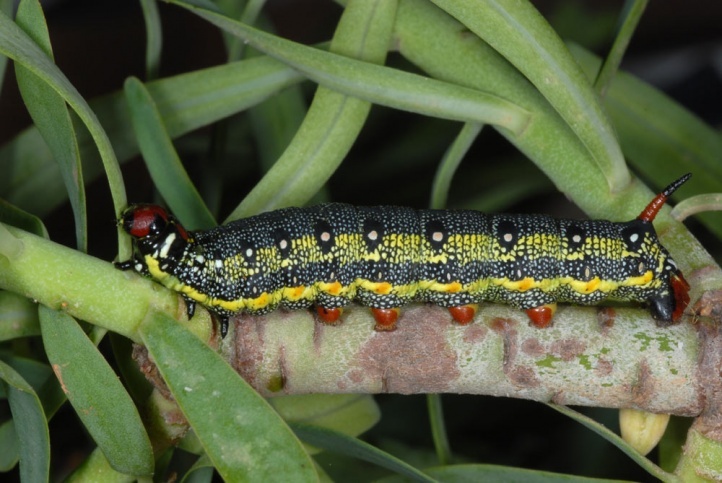 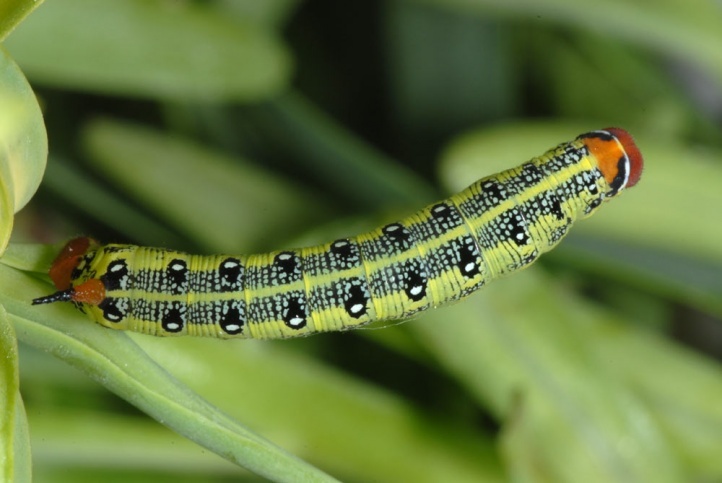 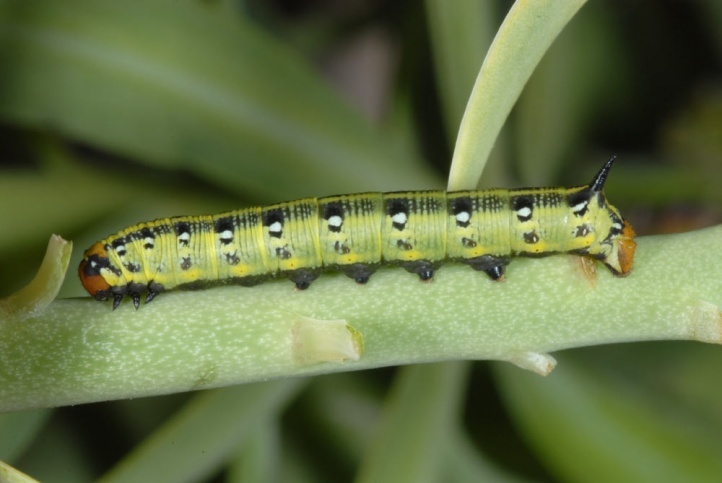 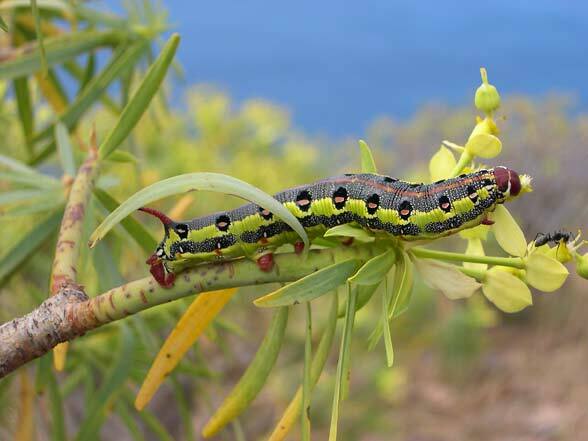 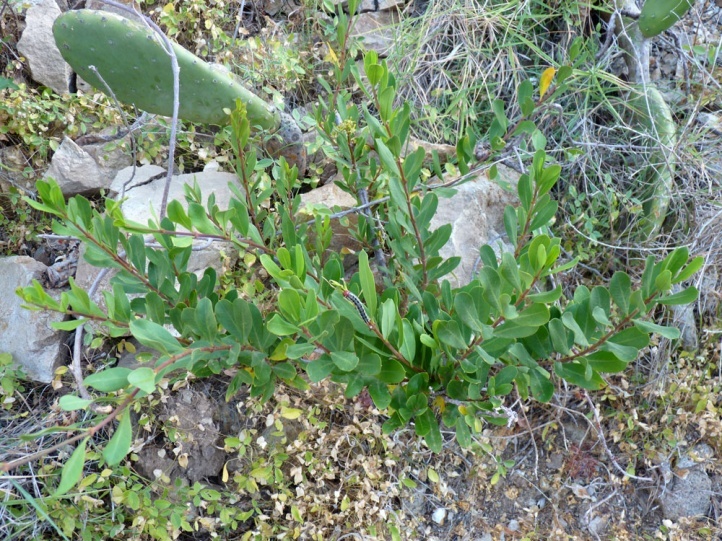 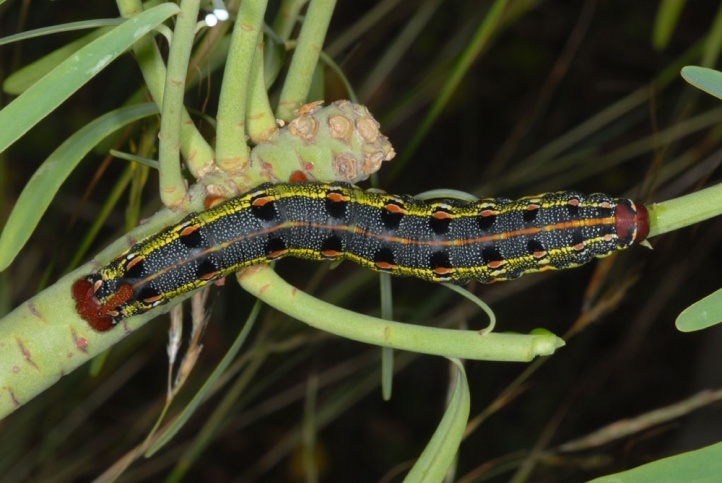 The larvae feed on Euphorbia species, mostly higher growing, shrubby species such as Euphorbia obtusifolia (= E. lamarckii). 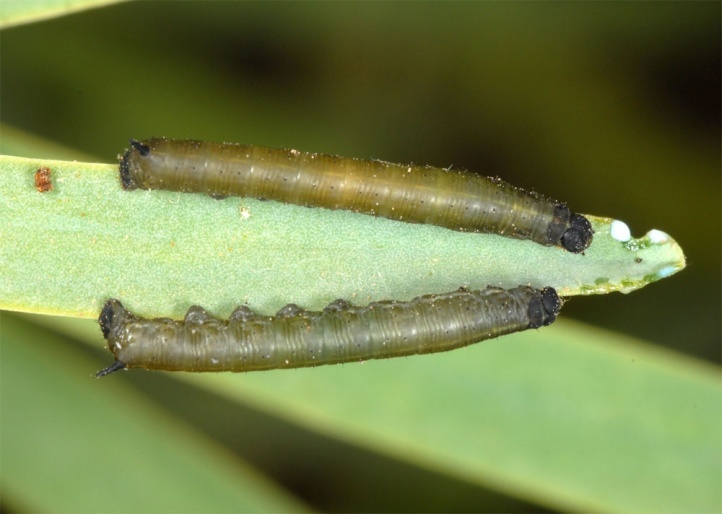 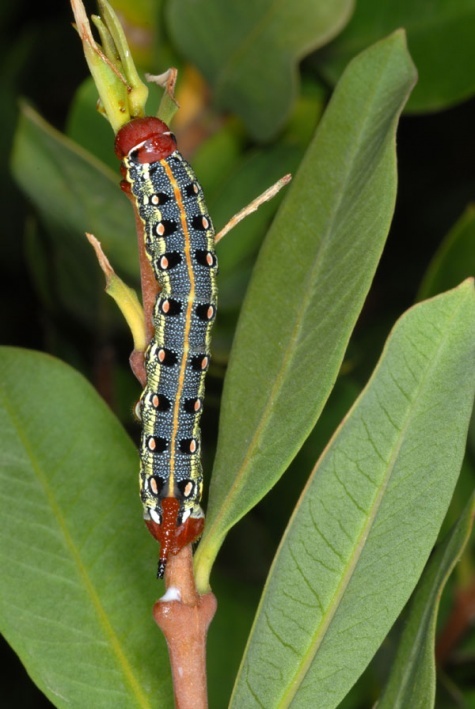 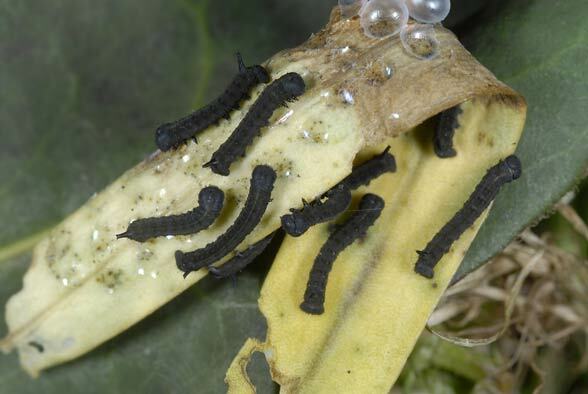 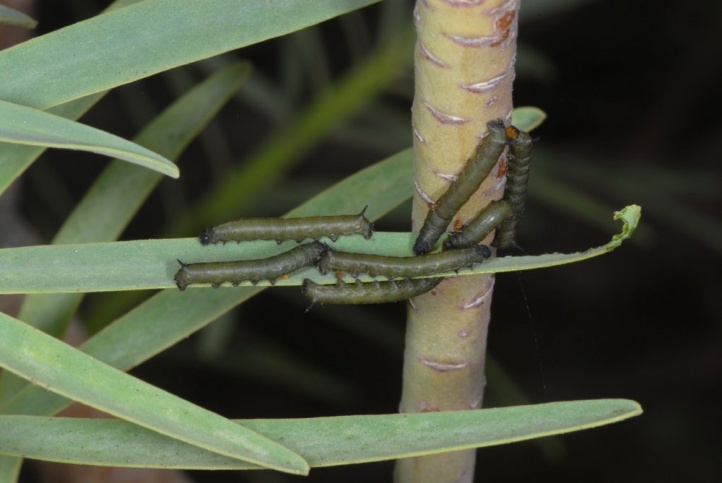 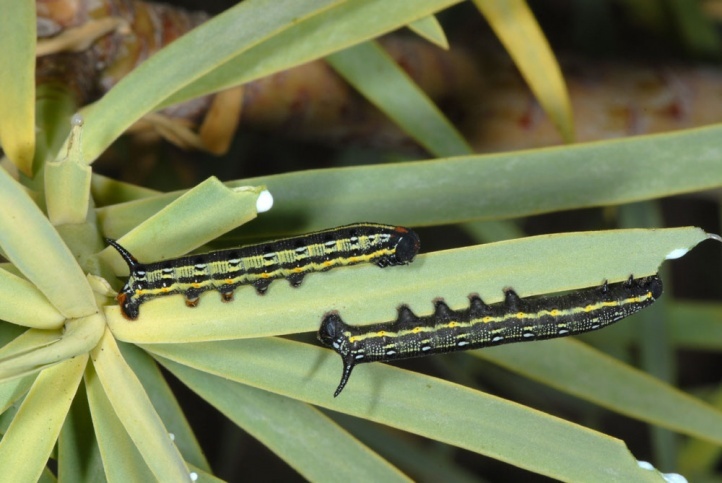 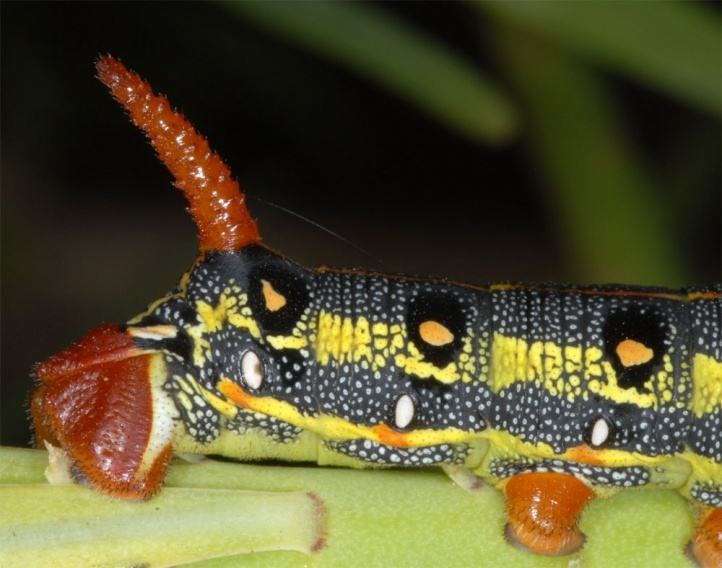 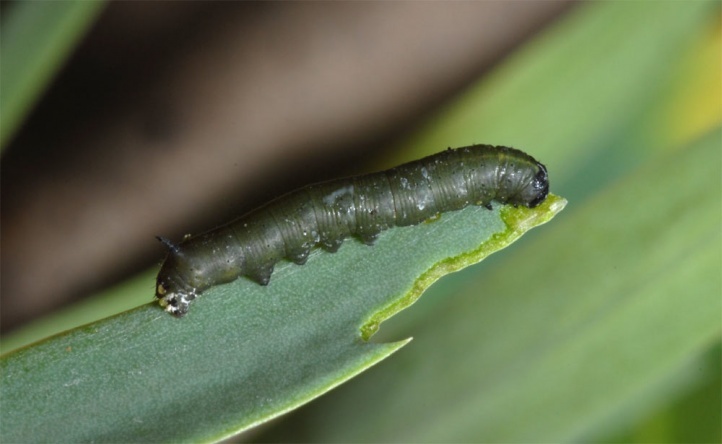 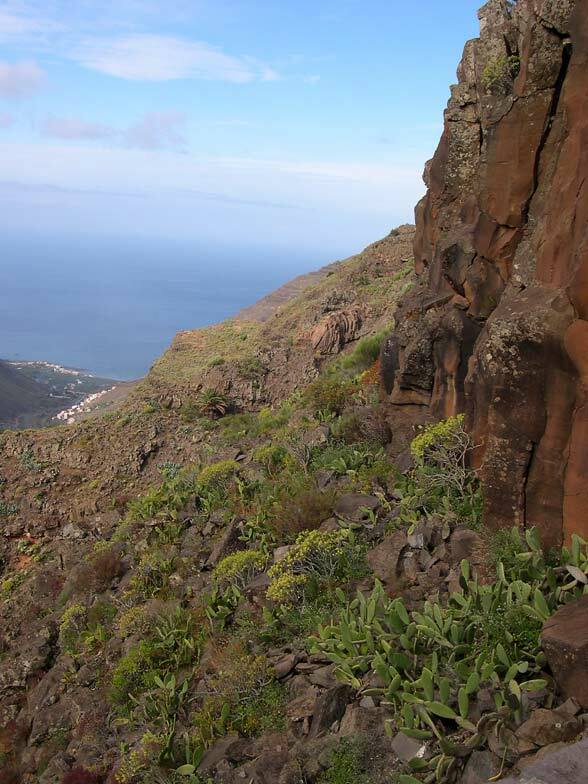 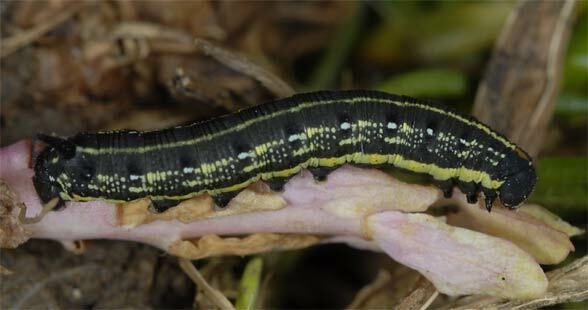 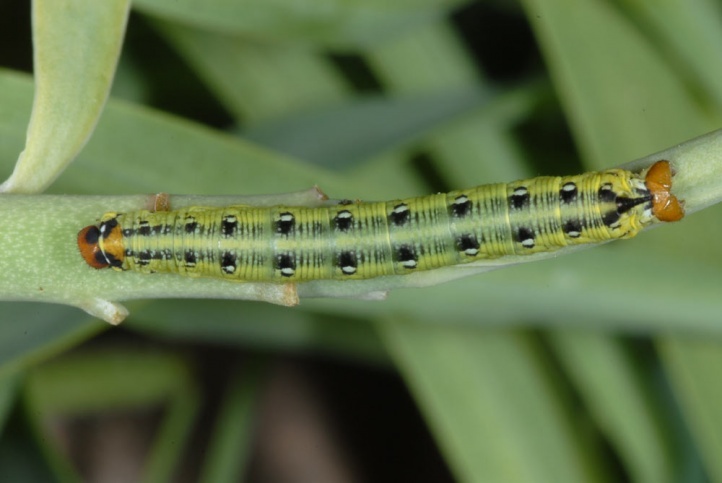 As an exception, I observed a single larva on the Asclepiadaceae Periploca laevigata in La Gomera (February 2013), which consumed the young leaves. 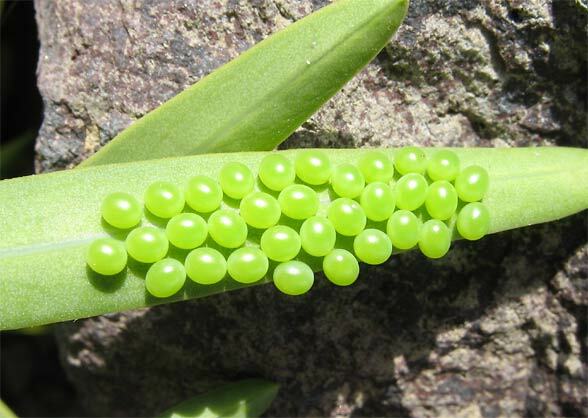 But I do not think that oviposition took place there, too. 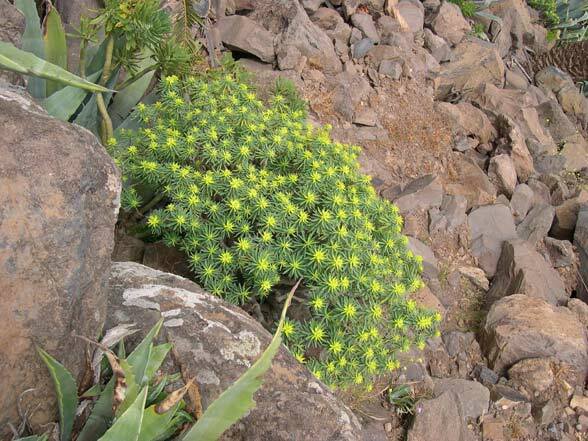 Hyles tithymali inhabits semi-deserts, rocky terrain, dry slopes and the succulent belt (e.g. 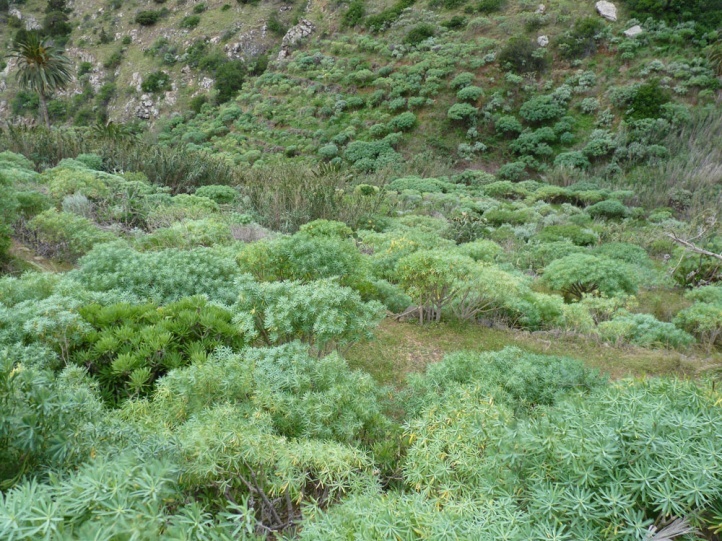 Canaries) with the food plant. 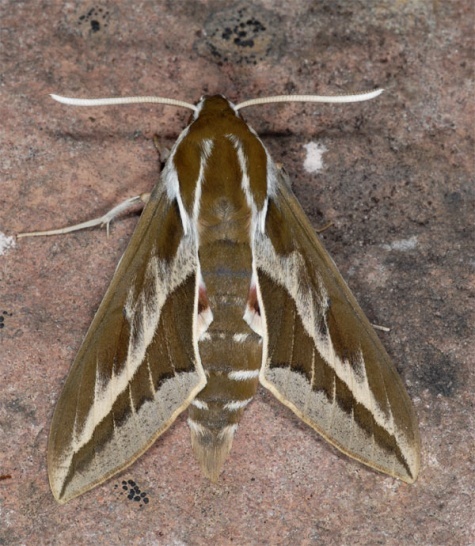 Hyles tithymali has several generations per year. 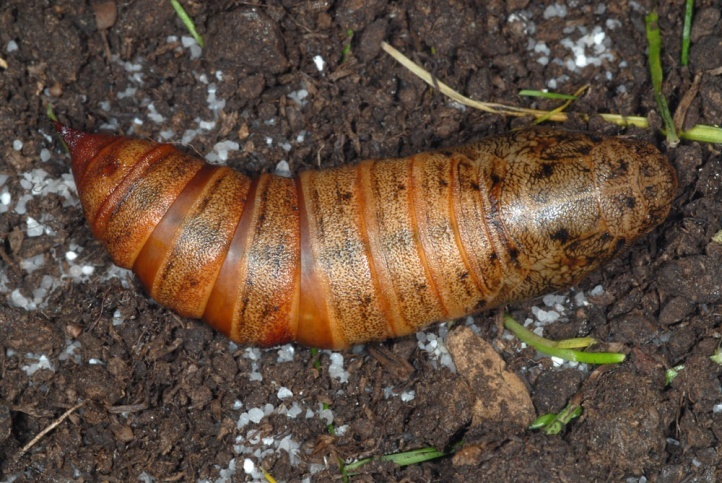 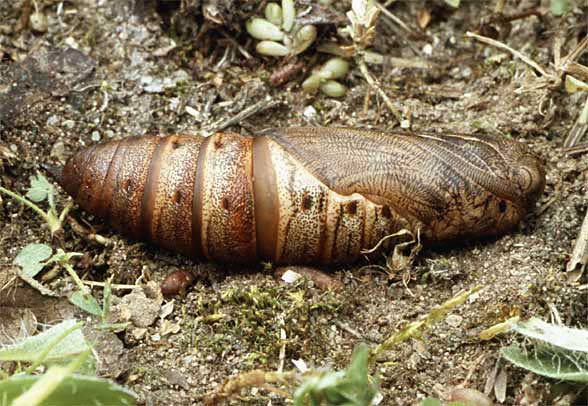 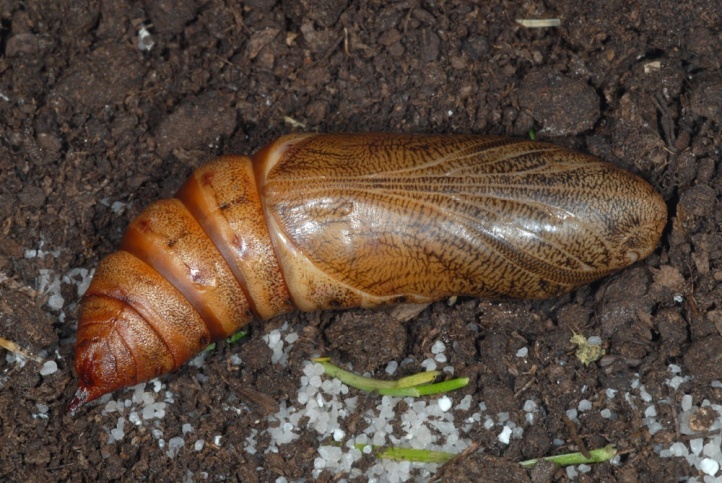 A part of the pupae will always enter a diapause and not hatch until after months or years.This is especially the case in the dry summer. 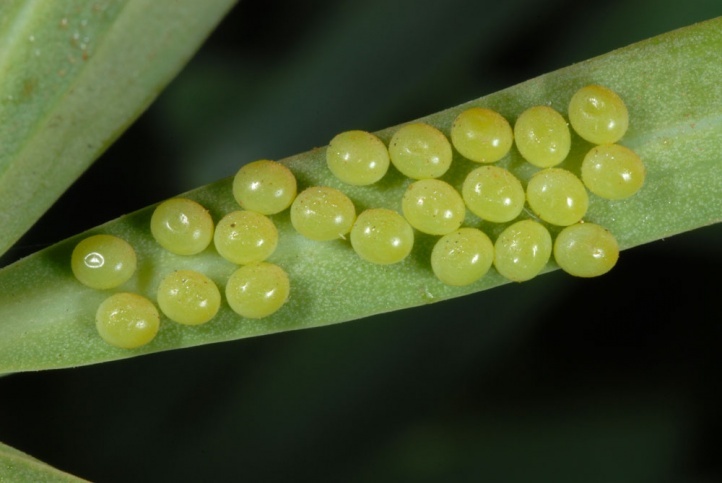 Eggs are laid in groups of few up to 30 pieces. 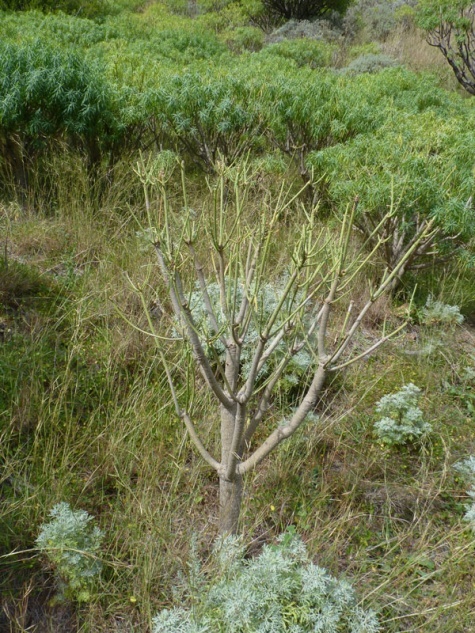 Often whole bushes are stripped bare. 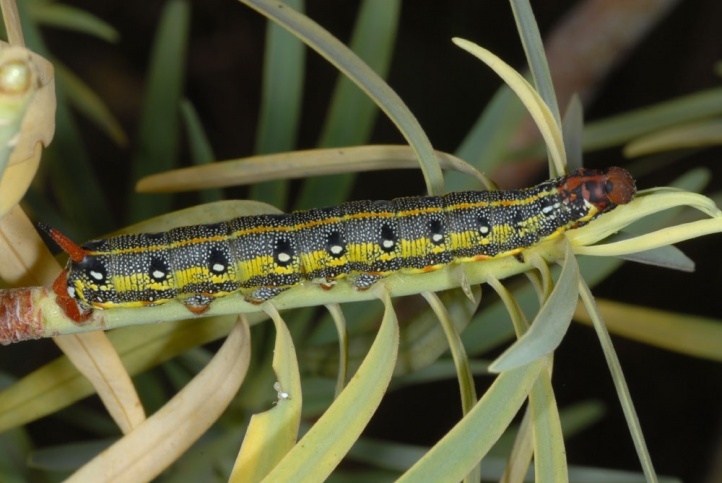 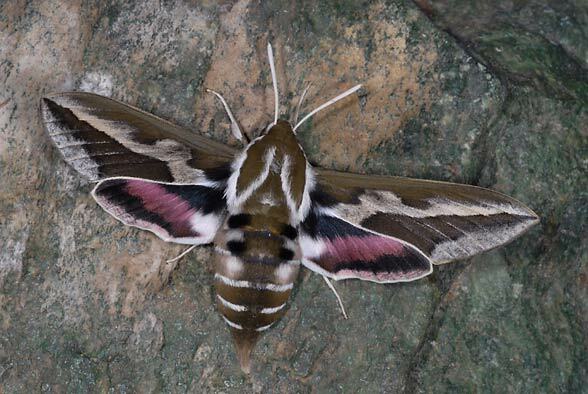 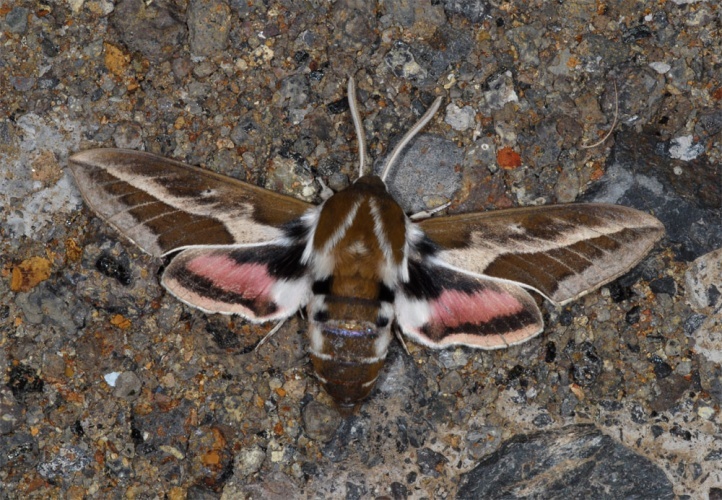 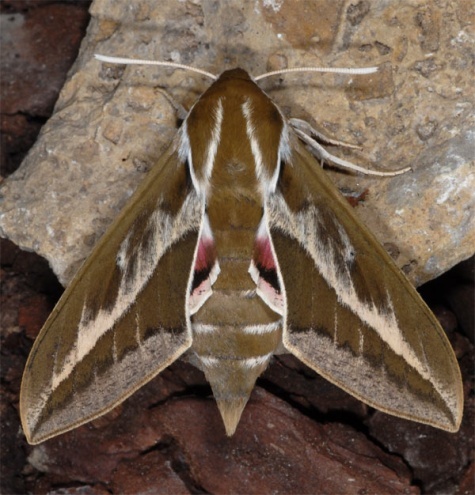 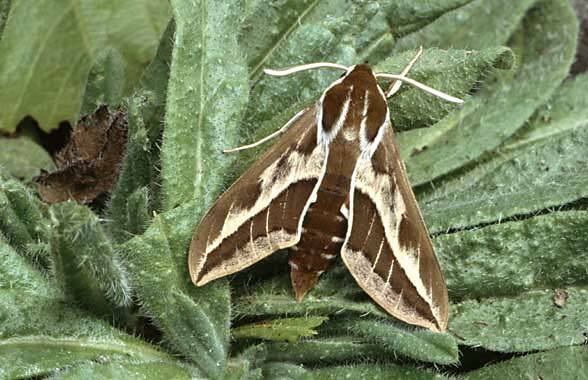 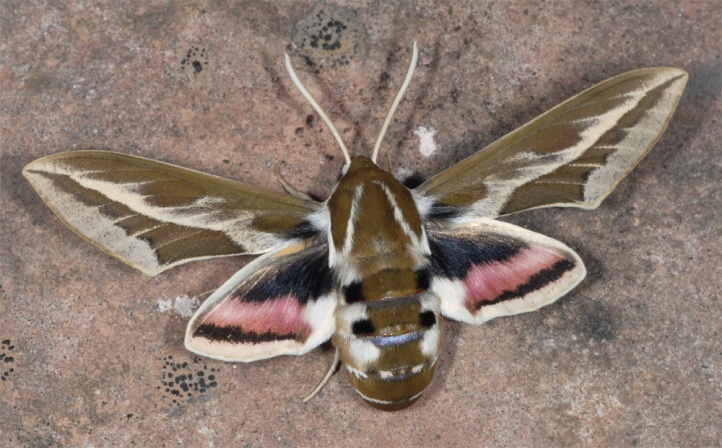 Hyles tithymali is flying in North Africa and the Canary Islands/Madeira. 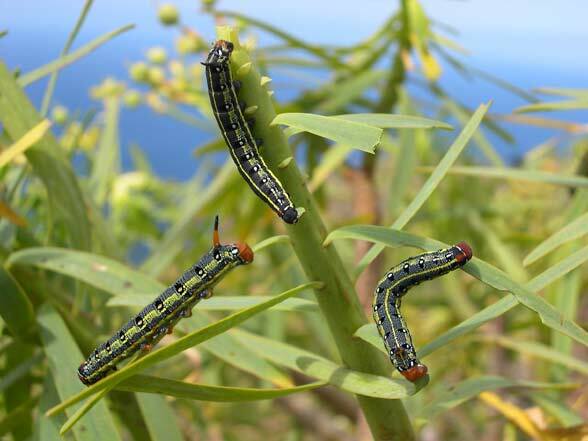 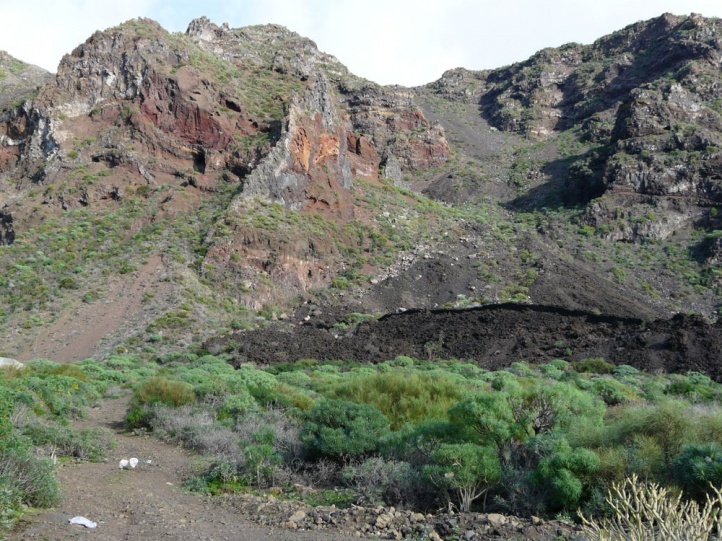 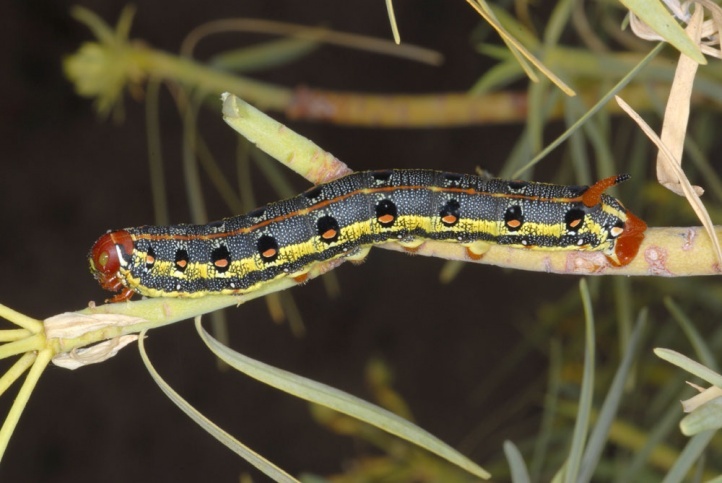 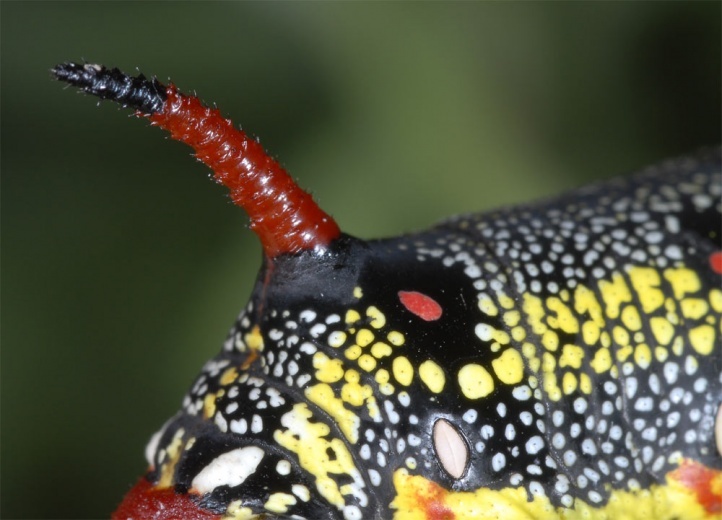 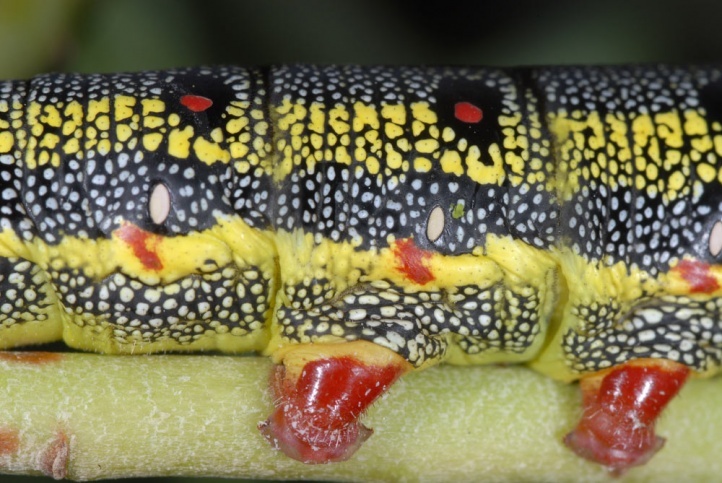 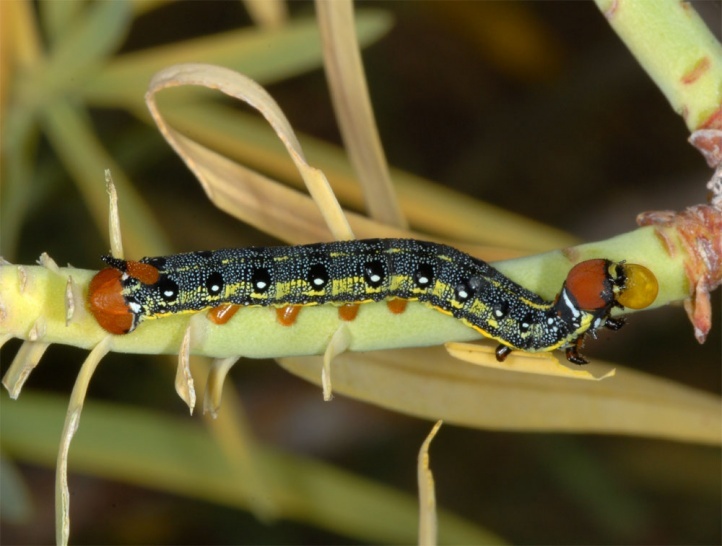 I found numerous caterpillars in La Gomera, La Palma, Gran Canaria and Fuerteventura in all age groups frequently in winter and spring.